Lonsdale Park in Oakham is located close to the heart of this historic town, in central England. Situated opposite picturesque parklands, the development boasts 43 apartments exclusively for those over 60s. 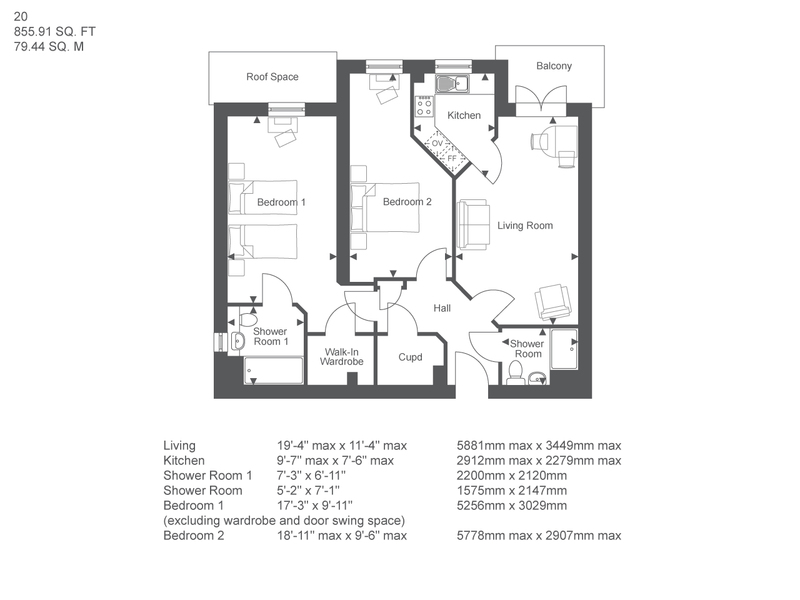 There will be a variety of one and two bedroom apartments to choose from, all featuring a fully fitted kitchen, a shower room with a heated towel rail, and a fitted wardrobe in the spacious bedroom. 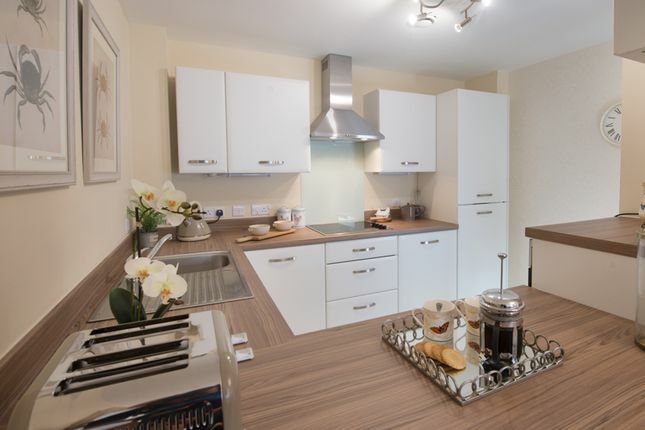 The apartments are all equipped with energy efficient heating and raised height electrical sockets. Homeowners can enjoy everything the development has to offer, including the private homeowners' lounge, landscaped gardens, and on-site car park, while visiting family and friends are more than welcome to stay over in the guest suite. For complete peace of mind, the development is completely secure, with intruder alarms, a camera entry system and fire detection equipment. There is also a 24-hour emergency call system and a House Manager on duty for any concerns. Mobility is never an issue, with lifts to take you to all floors. Lonsdale Park is now 95% so don't miss out on the last chance to buy an apartment. Our on-site Show Complex is available to view by appointment only. Book your visit today for a tour of our show apartment and enjoy a complimentary tea or coffee in our brand new Homeowners' Lounge. Oakham is found in the county of Rutland, an area that was voted as the ‘best rural place to live in Britain' by the Daily Telegraph in 2015. With its array of green parks and fields, great shopping and restaurant scene, and beautiful historic architecture, it's easy to see why this pretty traditional market town is the place to be. In Oakham, you'll find all the usual local amenities (supermarkets, banks, doctors and post office), as well as a mixture of high street and independent shops. There are plenty of cafes, pubs and restaurants to choose from, to suit all budgets and occasions. The bi-weekly open-air market takes place every Wednesday and Saturday in the town square and is a popular attraction, whether you're there to shop or simply browse around all the local delights. Property descriptions and related information displayed on this page, with the exclusion of Running Costs data, are marketing materials provided by McCarthy & Stone - Lonsdale Park, and do not constitute property particulars. Please contact McCarthy & Stone - Lonsdale Park for full details and further information. The Running Costs data displayed on this page are provided by SmartNewHomes to give an indication of potential running costs based on various data sources. SmartNewHomes does not warrant or accept any responsibility for the accuracy or completeness of the property descriptions, related information or Running Costs data provided here.